Acura has lineup of vehicles that feature all-wheel drive, giving drivers a wide variety of options—from the MDX SUV to the TLX sedan. All-wheel drive equips drivers with more traction control and stability to traverse roads in wet, slick, or snowy road conditions. But Acura’s Super Handling All-Wheel Drive System goes even further. With independently regulated torque distribution, it automatically shifts power and responds to driver inputs to create stability and a better performance on all roads. A three-row SUV, the 2019 Acura MDX is a top seller in its class and has earned a dazzling reputation among drivers. It offers the best of two worlds with a cavernous cabin, with space for both passengers and cargo, and agile and precise handling, surprising many drivers who might expect the large SUV to feel more unwieldy on the road. Every 2019 Acura MDX comes standard with features that contribute to drivers feeling in control behind the wheel including Vehicle Stability Assist (VSA) with Traction Control, Motion Adaptive Steering, Agile Handling Assist, and an Integrated Dynamics System that features three distinct drive modes. Powered by a 3.5-liter engine, the MDX will produce 290 horsepower on the road. The SH-AWD will automatically deliver the power behind the wheel to where it is needed most and “enhances handling and all-season traction,” according to Edmunds.com. During trickier driving situations, such as merging or passing, the system will deliver the majority of power to the rear wheels for more traction control and a better acceleration. And on calm straightaways, the power will shift to the front wheels for better fuel efficiency and ride comfort. The 2019 Acura RDX is a more compact SUV that accommodates 5 passengers. It can maneuver easily through narrow streets or tight spaces, but its smaller stature doesn’t mean that it skimps out on power and performance. With a 2.0-liter turbocharged 4-cylinder engine paired with a sophisticated 10-speed automatic transmission, it will produce up to 272 horsepower. Every model of the RDX comes with the available Super Handling All Wheel Drive system that ensures the RDX performs at its best on every road—whether it’s a rugged or slippery surface. The system automatically determines the best power distribution between the front and rear wheels and maintains stability throughout the ride. In a hard acceleration, the SH-AWD system delivers more power to the rear wheels for maximum traction. And when cornering, the system applies more torque to the outside wheels to keep the weight of the vehicle balanced. The 2018 Acura RLX is a remarkable performance sedan. Producing up to 310 horsepower, the RLX provides driving enthusiasts with thrills behind the wheel in a luxurious cabin that features Milano leather seats and dual-zone automatic climate control, keeping everyone inside the cabin supremely comfortable. For even more power, the RLX has an available Sport Hybrid model that features Acura’s Super Handling All-Wheel Drive (SH-AWD) system. The Sport Hybrid model will produce an impressive 377 horsepower with a three electric motor system. No matter what the weather might be, the RLX will cling to the road and prevent skidding by maximizing traction control. Drivers will feel the responsive sport-tuned handling on any surface and accelerate through corners and straightaways in ways that make the heart pound. The 2019 Acura TLX is available with three incredible powertrains including the 2.4-liter inline-4 and the 3.5-liter V6 engine. The TLX combines luxury with versatility and offers a spacious cabin that is both sporty and safe. Available with the V6 engine is the SH-AWD system. Ready for any kind of weather, the SH-AWD ensures that the TLX maintains good tractive control with the road, even on slippery or loose surfaces. By automatically adjusting weight distribution during cornering, the SH-AWD system puts more confidence and assurance in the driver. And by applying power and braking pressure to each wheel individually, the system takes into account various factors including speed, road conditions, and various inputs to make sure the TLX is performing at its best. The TLX also helps drivers drive more safely with AcuraWatch, a package of driver-assistive technology that includes systems that warn, prevent, and mitigate incidents on the road. 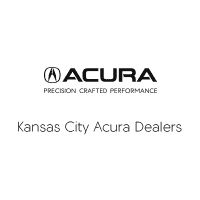 Find out more information on the Acura models that feature SH-AWD by contacting us or visiting your nearest Kansas City Acura Dealer. Explore current offers and sit behind the wheel of the model that is right for you with a test drive today.